The highly-anticipated marriage between Britain's Prince Harry and US actress Meghan Markle in Windsor on Saturday has generated a slew of quirky side-stories and offbeat tributes. 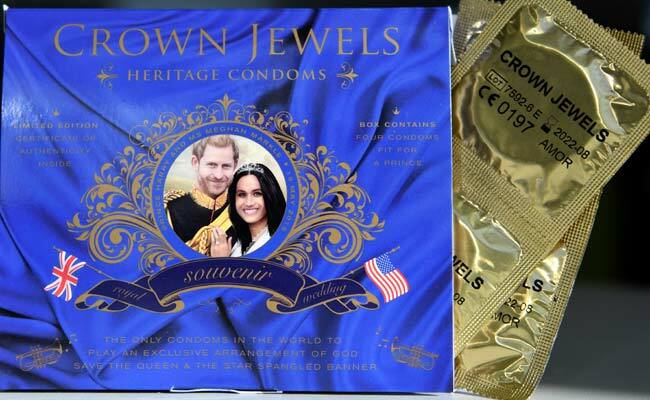 "Artisan" condom manufacturer "Crown Jewels" has launched a "sumptuous new" product to celebrate the occasion, "tailored to a regal fit" and promising "discerning love-makers a royal union of pleasure and style." 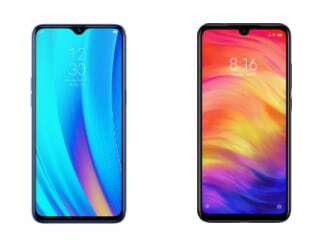 The product comes in "a handsome souvenir case", which plays a "musical arrangement of God Save the Queen and The Star Spangled Banner" upon opening, and is decorated with a pop-up picture of the happy couple and the inscription "your prince will come". The Mini brand has designed a special version of its distinctive car, boasting a roof motif combining the British and US flags and the inscriptions "Meghan loves Harry" and "love is all you need" on the glove box. The one-off "MINI Hatch" will be donated to one of the couple's chosen charities for auction. May 19 is not only a special day for royal-wedding watchers, but also for scores of other British couples getting hitched. "I'd love to say 'I do' at the same time as Meghan and Harry," Lucy Parkinson, 26, who will marry Andrew Dixon, 30, on May 19, told HarpersBazaar.com. The bride-to-be said she "can't wait" to see Meghan's dress, but accepted she "can't even begin to compete" in the fashion stakes, with the former "Suits" actress able to call upon the industry's top names. If you want to know everything about the royal family and weddings, and have a spare &#163;2,500 pounds ($3,400/2,800 euros), then you can take an eight-day tour that visits the most symbolic sites of the British monarchy, meets with royal experts and parties on D-Day. The Anglican church has composed a nine-line prayer for the couple, which begins: "God of love, send your blessing upon Harry and Meghan, and all who are joined in marriage, that... they may both live and grow in your love". Archbishop of Canterbury Justin Welby, the Anglican leader, will officiate the ceremony. US channel Lifetime on Sunday aired the film "When Harry met Meghan: A Royal Romance" -- the title inspired by 1989 cult comedy "When Harry met Sally". The feel-good film dramatises the developing love story, and at one point sees Harry, realising he wants to marry a divorced American woman, shouting: "She makes me happy so to hell with traditions!" Meghan is played by Netflix regular Parisa Fitz-Henley and Harry by Murray Fraser, who appeared in the series "Victoria", about the eponymous queen. 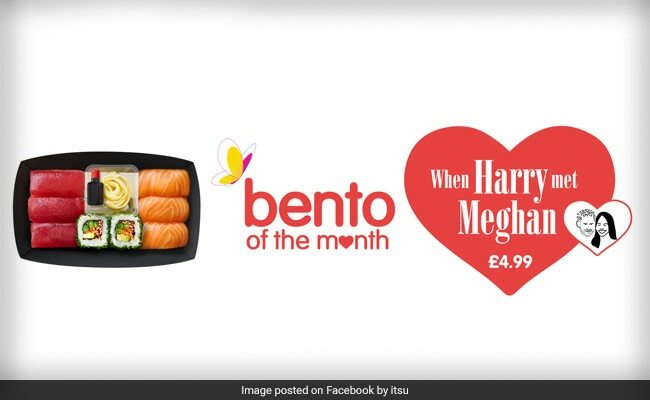 Sushi restaurant chain itsu is marking the event with the "When Harry met Meghan" lunchbox, which comprises salmon, yellowfin tuna nigiri, avocado, shredded carrot, green bean and fresh mint maki, white ginger and soy sauce. A London patisserie has devised other gastronomic tributes, including cupcakes, a US staple, topped with glazing in the colours of the American and British flags. For those looking for something harder, a British brewer has created a celebratory beer, combining British and American hops with a sprinkling of champagne yeast. "Shout at the kids, shun the dentist, swear at the useless England soccer team, drink gin before lunch" are among some of the tips on how Californian Meghan can integrate seamlessly into British life, according to Dominic Green, a British contributor to US publication "The Weekly Standard". "You can keep your accent. We like Americans," he said. "We were embarrassed for Madonna when she pretended to be English."